Today’s Topic: What non-YA character would you love to see star in a YA book as themselves? Dexter Morgan is the most complex character I’ve ever known. He’s a blood spatter analyst, brother, father, husband, rescuer, friend, vigilante and… serial killer. He does it all with a certain flair for the dramatics, a very dark sense of humor, and an intensity that borders on terrifying. Plus, um, he’s pretty hot. I’d love to know Dexter as a teenager. His childhood was less than enviable, his sister is a bit of a mess, and his relationship with his father, Harry, is all kinds of complicated. He’d make fascinating young adult character because even as a grown man, he’s constantly questioning who he is and trying to balance all the facets of his personality. Imagine all the angst he’d bring to a YA novel! And can I just mention that Showtime will begin airing the newest season of Dexter in LESS THAN A MONTH?! So excited! So, what non-YA character would you love to meet in a YA story? 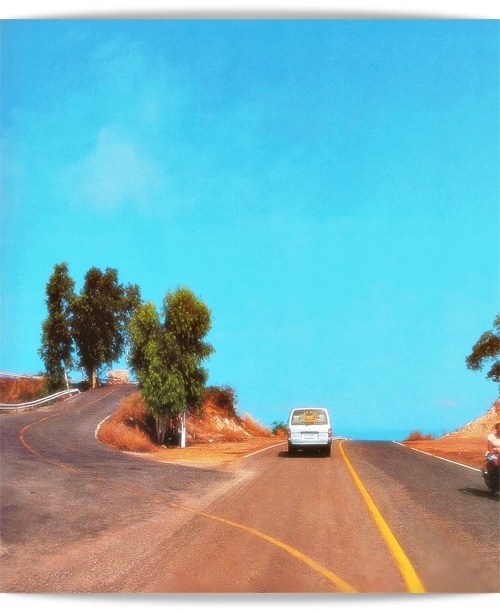 Posted in: Entertainment, Favorite Things, Road Trip Wednesday! This is the best answer! Dexter is so complex as an adult–I can’t imagine how interesting he would be to read/watch as a teen. Yay! Glad to know you’re a Dexter fan, Rebecca! It’s quite possibly my favorite show EVER. Have you seen Six Feet Under? A close second in the awesome department. ooh… Good one. I haven’t watched the show, but since Hubby does I know a bit about Dexter. Teen Dexter would be interesting indeed. Watch the show, Alicia! Start with Season 1, though… It’s SO good! great answer! I hear all about this show, but haven’t seen it. It seems like people really love it. What an interesting YA character. It could be the ultimate suspense novel, really. You should definitely watch, Kat. It’s a fantastic study in suspense and layered characters. So good! Do I need to watch Dexter? I think I need to watch Dexter. Yeah, I haven’t watched it either. Though I read I AM NOT A SERIAL KILLER last year and I hear it’s like Dexter for teens – with a mini-paranormal twist. I plan to check that book out… it’s definitely intriguing! And now I’m even more curious since you mentioned the mini-paranormal twist. Thanks, Sarah! Love it! For my post I did think about some of the creepy-smart-killer-with-flair characters I love, but I had trouble settling on one that would also work as a YA character… It sounds like you’ve found the perfect example though. This post also reminded me that I’ve wanted to see Dexter FOREVER and need to get on it pronto! I really need to give Dexter a try. They have been filming episodes of Dexter in my friend’s apartment complex! I don’t watch the show because I can’t handle violence / death at all, but I have heard it’s awesome. It’s definitely a very graphic show, and hard to watch sometimes, but so, so good. And how lucky is your friend?! I wonder if she’s seen Michael C. Hall… Love him! I have seen this show maybe once ( I sadly watch little to no television). but based on your description, I would love to see his early story too! Nice! You should definitely check it out, Alison. Maybe pick up Season One on your next long break from school or something… it’s so good! This is an awesome answer. Would certainly be dark… and interesting. Oh, yeah… it would have to be dark, or it wouldn’t be nearly as effectual as the show or the book series the show’s based on. I think it would be fascinating! Ha! I totally agree. That was my pick, too. 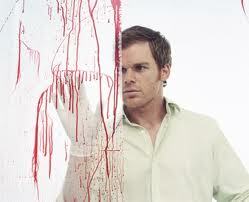 I ❤ Dexter, he would make such an intriguing YA anti-hero. Great minds! Glad to hear your a Dexter fan too! I always feel like I need to spread the word about the awesomeness of that show.